Don’t get me wrong, there will be a hell of a lot of people out there who have worn boots over many years and had no problems. Therefore, for them at least, lacing hiking boots will be a straightforward affair. However, there will also be people who consistently struggle to find comfortable boots. There will also be those who have never questioned the conventional wisdom of boot manufacturers. Just because your favourite new boots came laced up a certain way when you eagerly opened the box, it doesn’t mean that they have to stay that way. 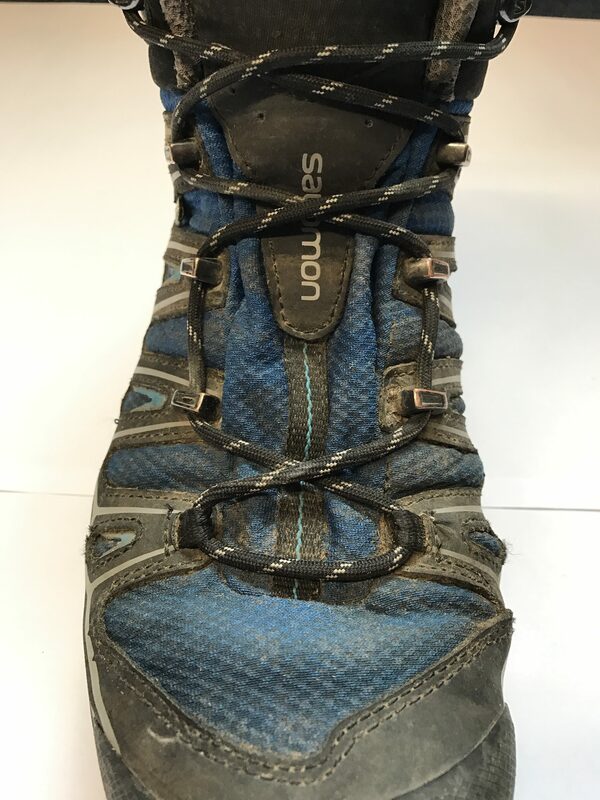 Now, the single most important thing to ensure that your hiking boots give you years of pleasure is to actually go and try some on. 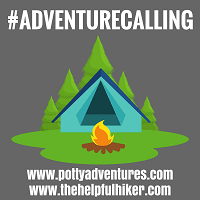 The internet is a great way to secure yourself a saving but, by going to a dedicated outdoors shop, you’ll benefit from the knowledge and experience of the staff. 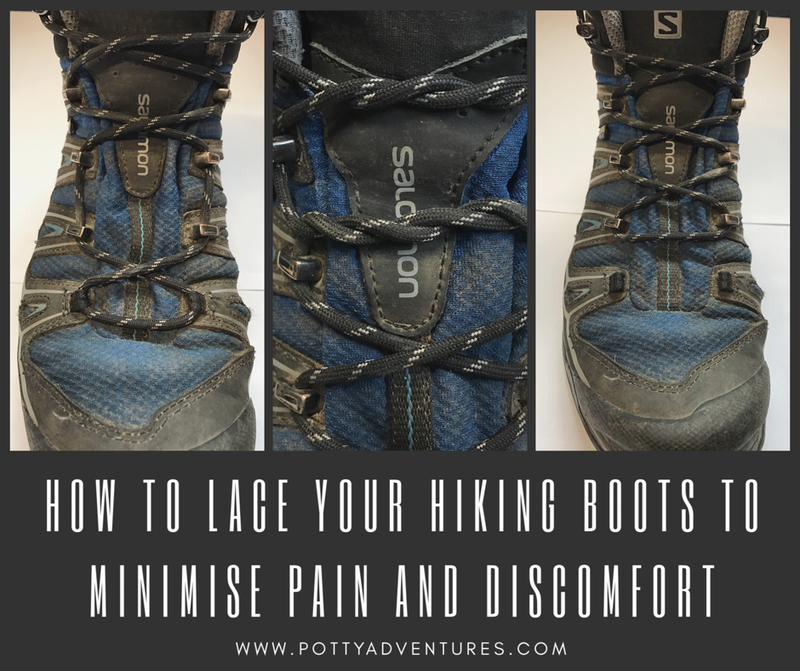 Lacing hiking boots in all manner of variations will certainly help but it won’t fix a badly fitting boot. Furthermore, by going into a store you’ll able to compare similar models from different brands. Some brands are known for their narrower fit, whereas others give even platypus feet like mine enough room to breathe. Each brand offers something slightly different. If you were to ask everyone in the world who wears a size 5 to try a particular boot, then each of them would have a slightly different experience. Regardless of size, everyone’s feet are different. I, for one, have hideous feet. For a start they are flat and wide. Throw into the mix the fact that they are misshapen, particularly around the ankle area from years of sporting injuries, they aren’t the prettiest things to have graced a shoe. Some people have even likened them to hooves! Consequently, on occasion, I get a build-up of pressure around certain areas of my feet. This is less noticeable on short walks or when wearing lightweight footwear. However, on longer treks, or when wearing stiffer boots, I begin to feel the pinch. Luckily, by lacing hiking boots in particular ways I am able to alleviate much of this. If you suffer from blisters on long walks, it may be because your heel isn’t firmly fixed in place. 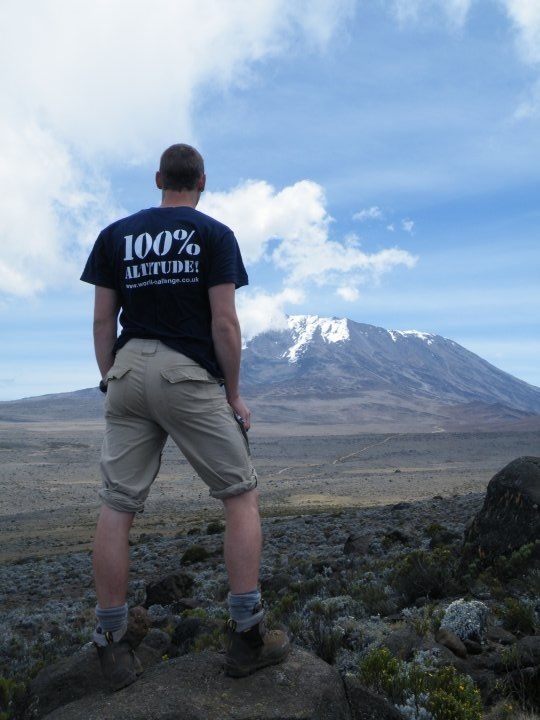 Heel slip, as it’s commonly known, is a problem that blights the hiking experience of many people. However, there is a solution. With your foot snug in your boot, flex your foot forward as if you’re about to go onto your toes. Next, locate the point where the top of your foot begins to bend and press against the inside of your boot. Finally, identify the two pairs of lace hooks/eyelets directly above this point on your foot and create two surgeon’s knots. Surgeon’s knots are really simple. Where you would normally just cross your laces over once, you will now loop them over two or three times so they can’t budge. This should secure your heel enough to stop any movement that has previously caused rubbing and blisters. Just be aware that this will leave very little room for your feet to expand. So, on a hot day, you may want to consider which would be the lesser of two evils. Another use of the surgeon’s knot is to alleviate pressure spots from the top of your foot. By tying a surgeon’s knot below and above the painful point, you’ll still ensure that your boots are snug. You can then just use a looser, standard lace crossover across the pressure point itself. This will give that small area of your foot a bit of relief but won’t loosen your entire boot, risking blisters. Something I occasionally struggle with on very long or multi-day walks is pressure and rubbing on my toes. This is not just annoying it’s downright uncomfortable. A simple way to give your tiny tips some relief is to open up the toe box of your boot. 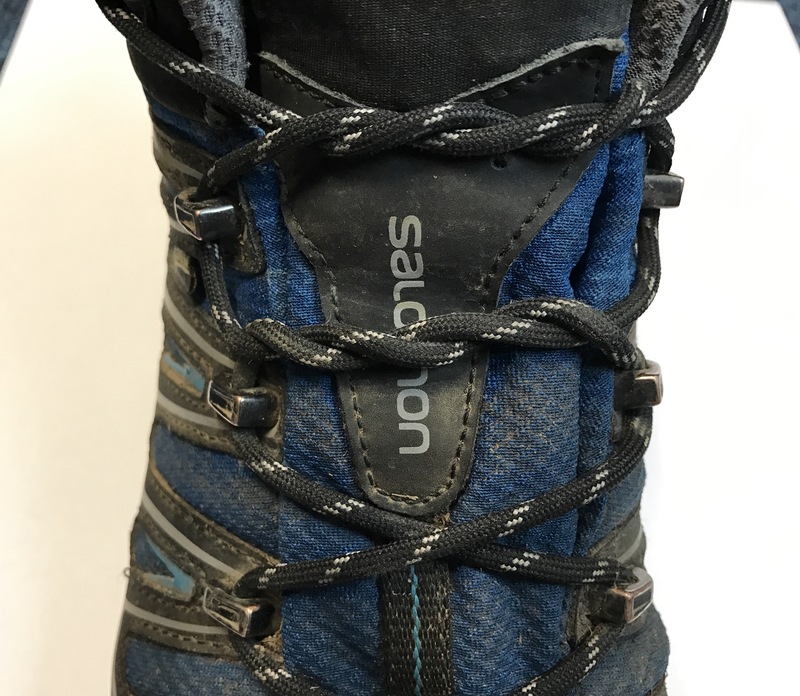 To do this, simply unlace your boot and re-lace it, missing out the bottom pair of eyelets. You’ll be surprised how much difference this can make. Obviously, if toe pressure is a recurring problem, short of sawing them off, you’ll need to go and purchase some new boots. However, as an occasional fix, particularly on long or multi-day walks, this could be a saviour. I spoke about top of the foot pressure earlier…it can really blight a good walk. If you suffer in this regard, then window lacing might just be the answer to your prayers. By creating ‘windows’ that are free from laces, you’re able to reduce top-down pressure, and walk pain free. All you need to do is locate the section of your upper foot that is hurting. Unlace your boots to just below that point and then re-lace them avoiding a crossover at that point. As such, you’ll simply thread the lace vertically up to the next eyelet instead. Hopefully, by trying some of these techniques, you’ll be able to alleviate some pain or discomfort. 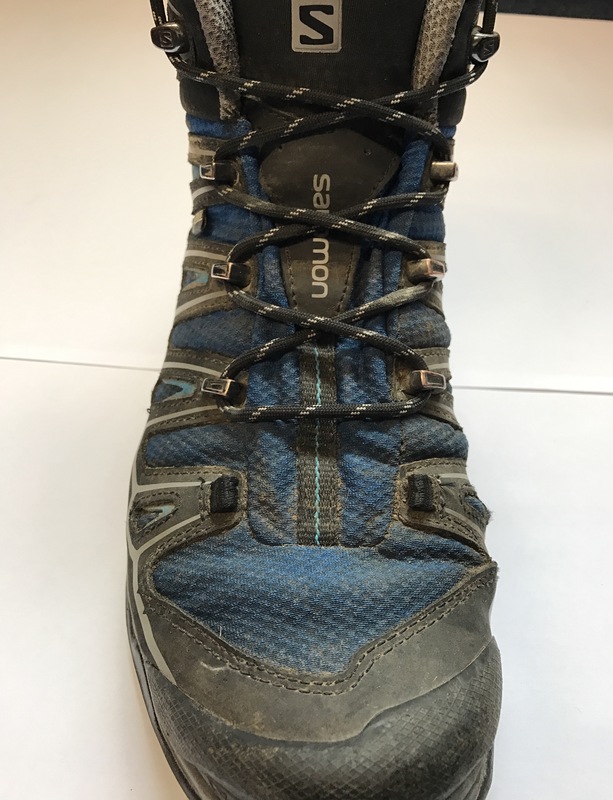 Lacing hiking boots to suit your needs is a really simply way to personalise the fit of them to your specific foot type and shape. It doesn’t take long and it won’t cost you anything. Let me know how you get on. This was a really interesting post. I have a lump on the top of my foot where I once broke a bone and laces always squeeze this making it painful after a long day. I’m going to try the surgeons knot around it and see if it helps. Ah I hope it works for you Suz. Let me know how you get on. Ah nightmare. Did you enjoy the Yorkshire 3 peaks? I’ve fancy that myself. Thanks Nige. Well, if I’m ever down in south (or mid) Wales I’ll give you a shout. Would be great to meet up over a walk and a beer. Thanks for hosting. Yeah it’s surprising just how many variations there are. Thanks for reading. I think these are great tips, do you have any advice on if the toe relief method would help with a bunion? Not mine, my other half suffers with one, bad shoes I guess when she was younger. I’d personally try the toe relief method but I’d still lace the to the bottom on my good side (which ever side the bunion isn’t – if that makes sense). Really interesting post that I should have read earlier. Did the Kentmere Round last Saturday and found that my boot was rubbing one heel slightly (despite vaseline). It wasn’t bad enough for a blister, but I think maybe I altered my walk enough over the 14 miles to give myself a bad knee – not even my usual bad knee. Going to give different lacing a try next time. Yeah you definitely begin to compensate when something isn’t right don’t you. Hopefully one of these or a variation of them may help. 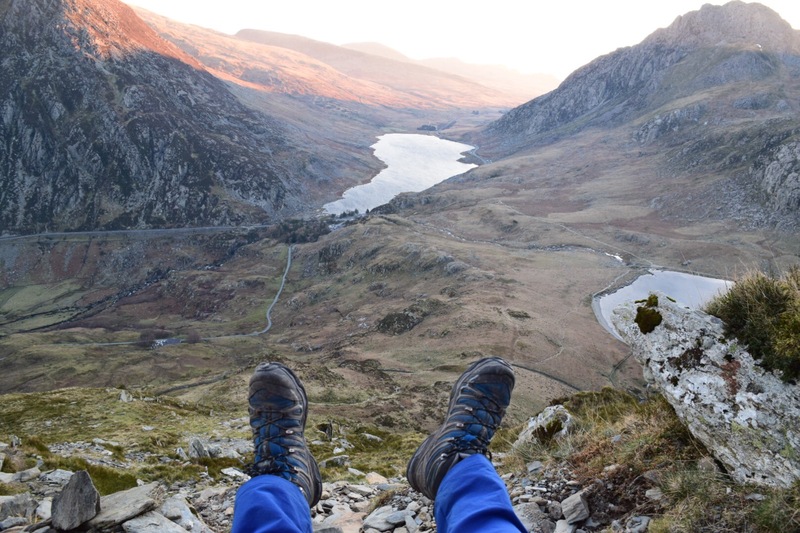 Oh that’s one of my fave views – the summit of Y Garn in Snowdonia looking down the Ogwen Valley with Tryfan on the right. We did a sunrise hike there not long ago and it was just awesome. Glad it was useful Naomi. I’ve been the same with certain boots never quite feeling right. This is really interesting, I never knew about thr different ways to tie them. I did the Welsh three peaks a couple of years ago and ended up losing my big toe nails. I’m convinced it was the pressure on the front of my feet when going down hills. It’s always put me off walking boots since and tend to grab by builders boots. Maybe you have convinced me to dig the walking boots back out. This is a fab post..I walked the West Highland Way back in June. Although i did not get any blisters the back of my heels were very sore. Months later and i still cant put my boots on without it being a pressure point! Will have to have a go at some of these to see if anything helps. Wow skipping the bottom eyelets to save my toes! I thought I had the toe box open enough. I started to feel my toes getting raw and re-laced my boots as you described. Thank you! Saved my hike from becoming a limp. Sounds like a brilliant day! Well done. Love the photos!